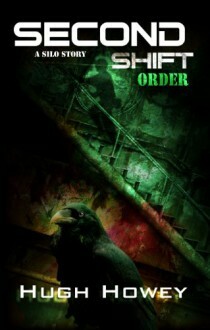 This is the second part of the SHIFT trilogy. Please be aware that the three books will be combined and released as a single work in the Spring of 2013. You can save some money if you wait until then.SHIFT follows the New York Times bestselling WOOL series. The third and final act will be released in 2013. If you're reading this book, you very likely already know exactly what to expect from Hugh Howdy. You will not be disappointed here. Completely fantastic. My only regret I'd that I wish I'd waited to read 2nd shift until 3rd shift was finished. I hate waiting for resolution!